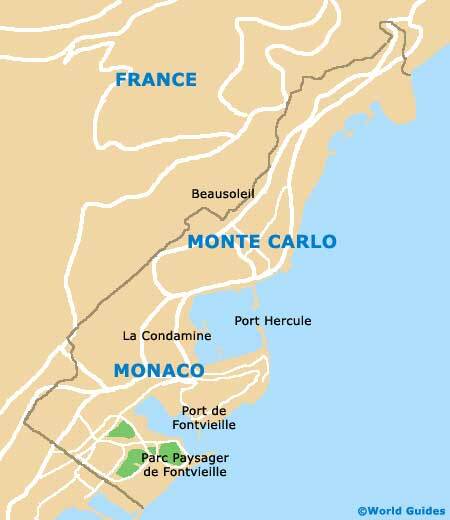 Monte Carlo is dominated by the grand Prince's Palace, which started life as a Genoese fortress and is just one of the city's many famous landmarks. Since the 13th century, this magnificent building has housed the Grimaldi family, notably American actress, Princess Grace. 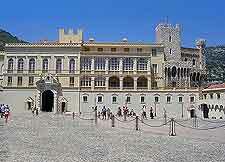 Today, the state rooms of this Monte Carlo landmark and working palace can be toured during the summer months. Aside from the palace, the city also features a host of other important landmarks and historic monuments, including the flamboyant Grand Casino, where the rich interior detail reflects Monte Carlo's wealth, and the Charles Garnier-designed Opera House. While Monaco Cathedral's facade is worth a visit alone, most tourists visit this monument to pay their respects to Grace Kelly, who is famously interred here. 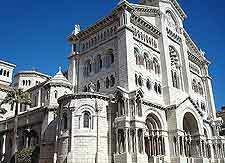 The highlight of many visitors' sightseeing itineraries is this grand palace in Monaco Ville, which has long been amongst city's most visited landmarks. 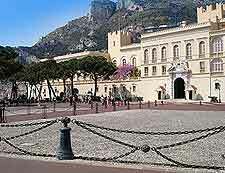 Offering stunning vistas over Monte Carlo's harbour, the palace is guarded by uniformed carabiniers, who participate in the changing of the guard ceremony daily. For the greatest insight into the history of the Palais du Prince and its occupants, take the 40-minute long guided tour of the complex. 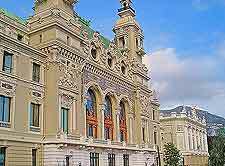 Designed by well-known architect Charles Garnier, the ornate Opera House has an ostentatious yet beautiful interior that reflects the city's wealth and glamour. Decorated with artworks, including sculptures, paintings and frescos, the auditorium is a fitting venue for performances by the globe's most prestigious opera and ballet artists. 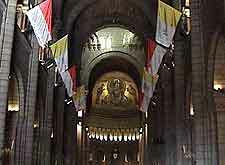 Somewhat of a pilgrimage site for fans of actress Grace Kelly, who became the princess of Monaco after her fairytale marriage with Rainier in 1956, Saint Nicholas Cathedral is the burial site of Grace and her husband, who never remarried after her death. Constructed in the late 1800s, the cathedral is an important local landmark and features a white exterior and beautiful Carrara-marble altar. 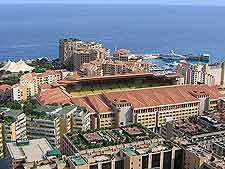 Constructed in 1985, this large sports stadium dominates the Fontvieille district of Monaco, one of the fastest developing areas of this small country. The Louis II Stadium is regularly host to world-class sporting events and can be toured. Keep your eye out for seasonal events being staged at the stadium, which may well be of interest. Saint Charles Church is characterised by its 30-metre / 100-foot bell tower, which dates from the late 19th century. This French Renaissance-style church is open to the public and features a magnificent nave, illuminated by light from no less than 19 stained-glass windows. Look out for the gilded chandeliers, which once resided in the Throne Room of the Prince's Palace.